Cameroon achieved its independence in 1960 and has been under autocratic rule since then. In the person of Paul Biya, Cameroon has had a President leading the country since 1982 who largely suppresses attempts at achieving a democratic transition. Officially, although Cameroon is a multi-party democracy, in de facto terms it is a one-party state that is controlled by the government party, Rassemblement démocratique du Peuple Camerounais (RDPC). In spite of being re-elected in presidential elections in 2011, Biya's government has come under increasing pressure, as is underscored in a manifold way by current anti-corruption proceedings against former high officeholders. The President lacks legitimacy as a result of manipulations of elections, deficits in freedom of assembly and speech and rampant corruption. Moreover, the list of achievements produced by his 30 years of rule is exceedingly scanty. The country's economic and social woes are mounting continuously while the social climate is deteriorating at a quickening pace. On top of all this, institutional arrangements have been made regarding succession to the President, but no arrangements with regard to individuals, which means that there may be open struggles for succession in which the ethnic dimension and the lack of prospects of a very young population will play a crucial role. 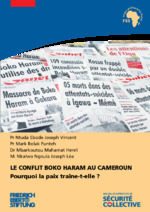 At the same time, attacks and suicide bombings by Boko Haram in the northern regions of Cameroon are having a worrisome impact on the security and stability of the country, putting the government under additional pressure. 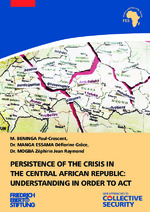 The region of Central Africa displays many of the functional deficits that apply to Cameroon and that have an impact in the form of high levels of human insecurity and poor economic and social indicators. That is why the work of the Friedrich-Ebert-Stiftung (FES) seeks to strengthen reform-oriented societal and political forces from political parties, trade unions and civil society and in particular include women and young people as well in order to improve democratic participation in decision-making processes. Moreover, the office in Yaoundé has been working with different partners since 1987 - government institutions, various political parties, forces of civil society and trade unions - in particular including from the DR Congo - on issues involving the region of Central Africa. Why is peace so elusive?